Give your little princess the cutest dress to wear at her birthday party this year! This magic wand design is customizable so you can put down her age, a funny quote, or the date of the event. 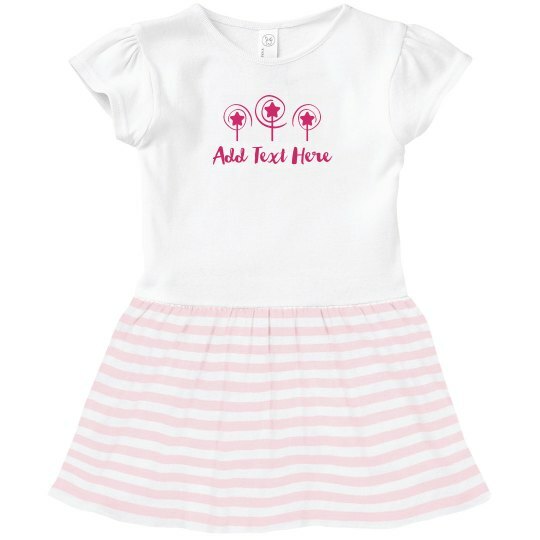 She is sure to love the girly design and comfortable cotton fabric too.